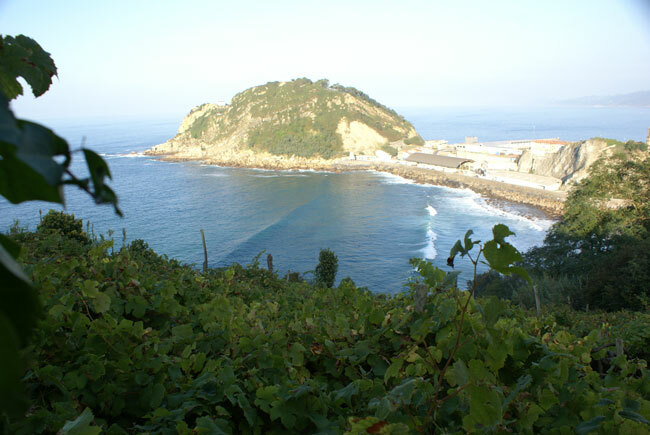 Aitzalde Txakoli is named for a steep vineyard in the Getariako de Txakolina DO in the Basque Country which slopes down to the Atlantic Ocean. Aitzalde translates into “place of stone”, an apt name for this rocky vineyard. This unique spot produces very dry, minerally white wine from the Hondarrabi Zuri (white) and Hondarrabi Beltza (red) grapes. Txakoli is generally known for its searing acidity, however the wines produced in the Getariako region have less pronounced acidity and fewer green notes than other Txakoli DOs which makes them more versatile.